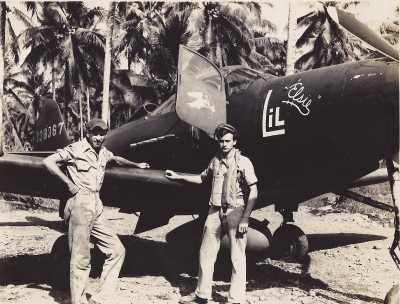 During 1943, the 35th Fighter Squadron (part of of 8th Fighter Group, Fifth Air Force) was based in New Guinea, flying Bell P-39D Airacobras. Due to its lack of a turbosupercharger, the P-39 was not a great performer at high altitudes, but lower in sky, it was a more-than-credible adversary for the Japanese airplanes. It was an unusual aircraft: a 37mm cannon fired through the propeller hub in the nose; the engine was located behind the cockpit; and it featured tricycle landing gear (not widespread at the time). The central location of the heavy Alison V-1710 powerplant helped to stabilize the plane. The photographs posed a bit of a puzzle, as they were unlabeled. 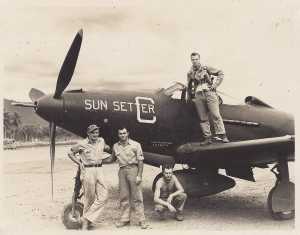 They certainly represent P-39Ds of the 35th FS, and possibly its sister squadrons, the 36th and 80th, which comprised the 8th Fighter Group. By their overall appearance, any WW2 aviation enthusiast could identify them as P-39s. But which model? And what else do the photos tell us? 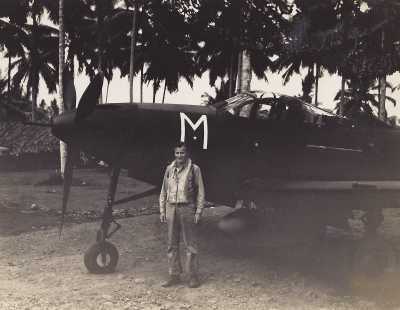 The first photograph shows a P-39 with a clearly marked tail number "138343." The full serial number (s/n) for that particular airplane was therefore 41-38343. 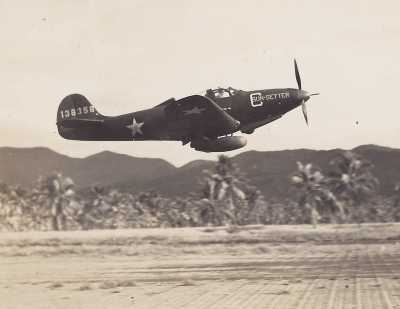 The first digit (4) was generally omitted from the tail markings as redundant, allowing the unique numbers to be a little bigger and more legible in flight. From the partially deployed landing gear it is clear that the plane was taking off. An airplane about to land would have its wheels fully extended. 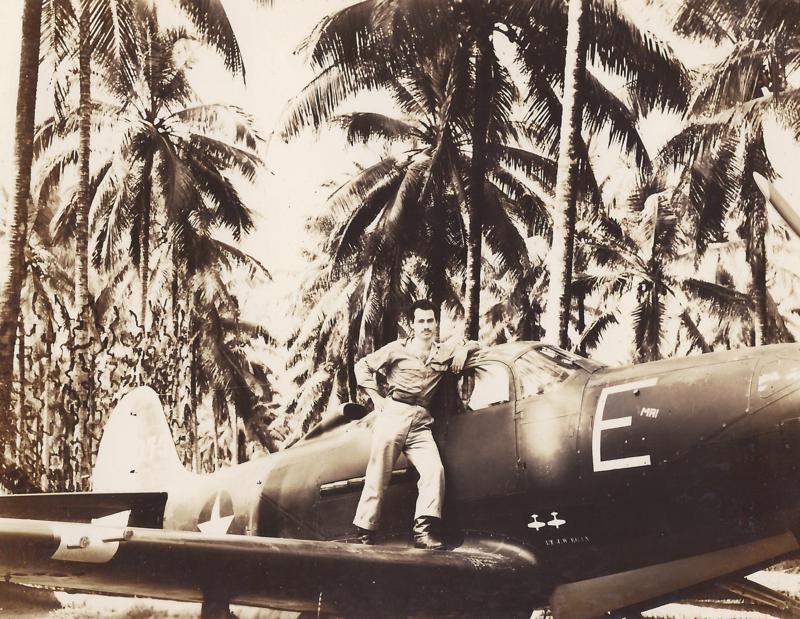 Joe Baugher's USAAF aircraft serial number website identifies serials 41-38220 through 41-38404 as Bell P-39D-1-BE Airacobra, and notes that "several dozen were taken on charge by USAAC squadrons." 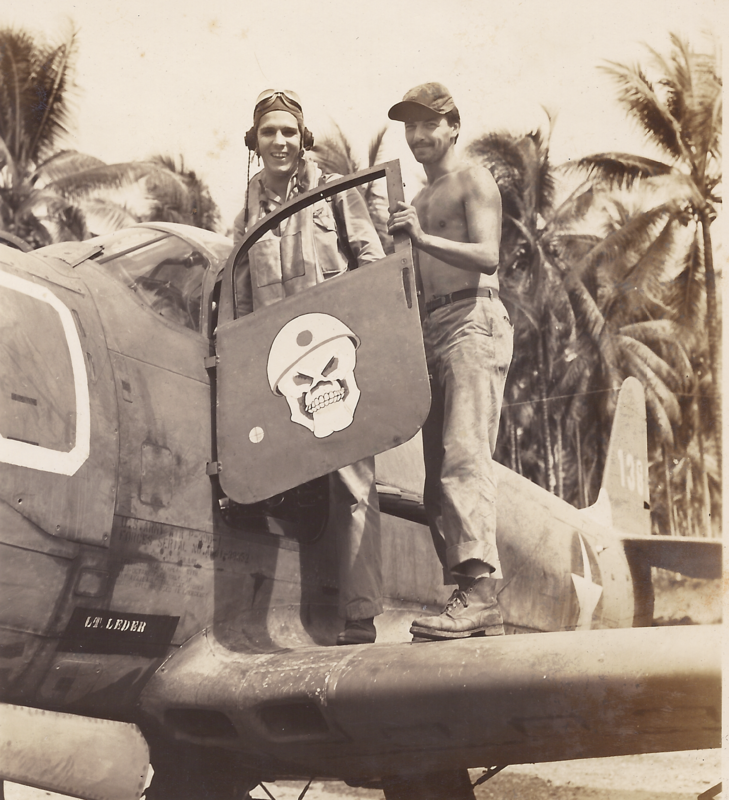 His detailed page on 1941 USAAF serials further confirms that these aircraft served in the Southwest Pacific. All the legible numbers in these photos fall within that range, so they are all P-39Ds, Block 1. 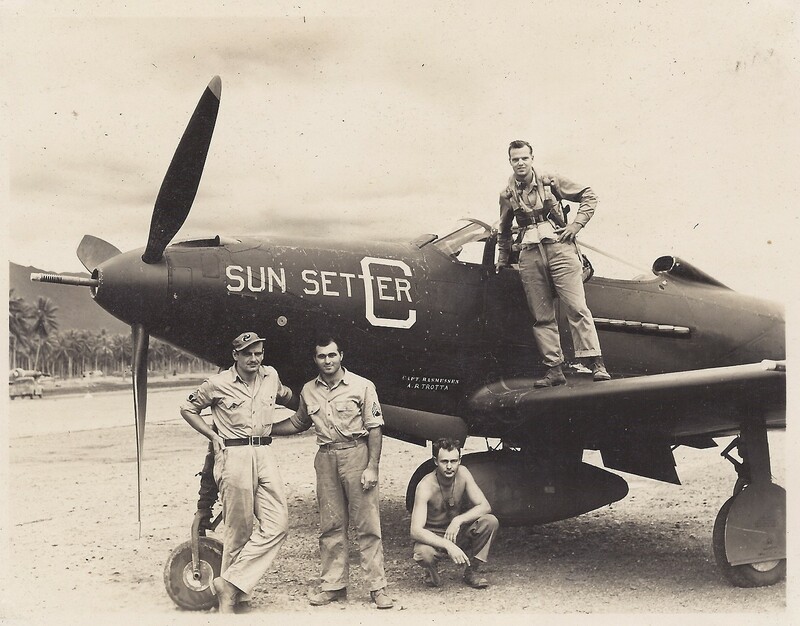 The next photo shows s/n 41-38356, nicknamed "Sun Setter," also taking off, with its tail number easily readable. Another image of "Sun Setter" shows two names neatly stenciled on the side. The name in larger letters, "Capt. Rasmussen," is the pilot; beneath it is the name of the crew chief, "A. R. Trotta." Many of the photos show a pilot (an officer, fully dressed, usually with a Mae West, sometimes with a holstered pistol, and occasionally headphones), and crew chief (a sergeant, either stripped to the waist or in overalls). 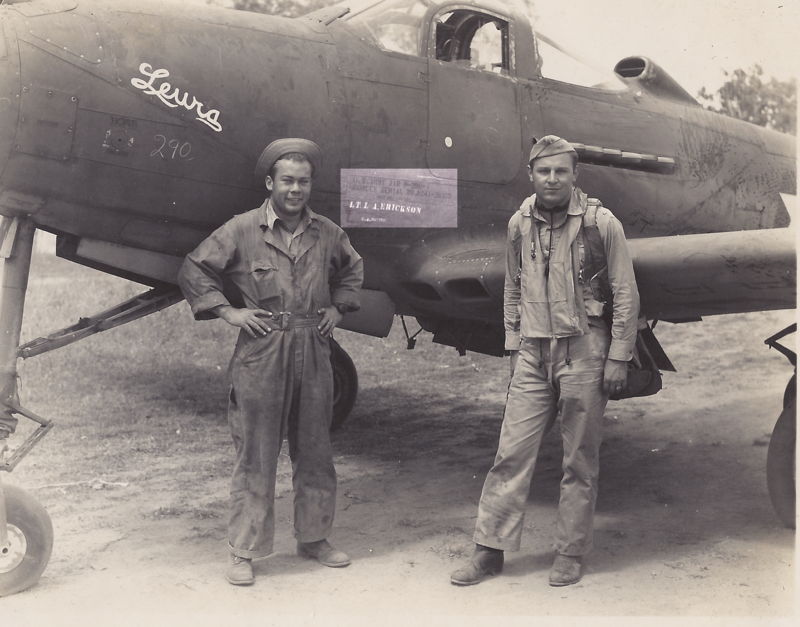 The following photograph shows the stenciled USAAF serial number on the nose. 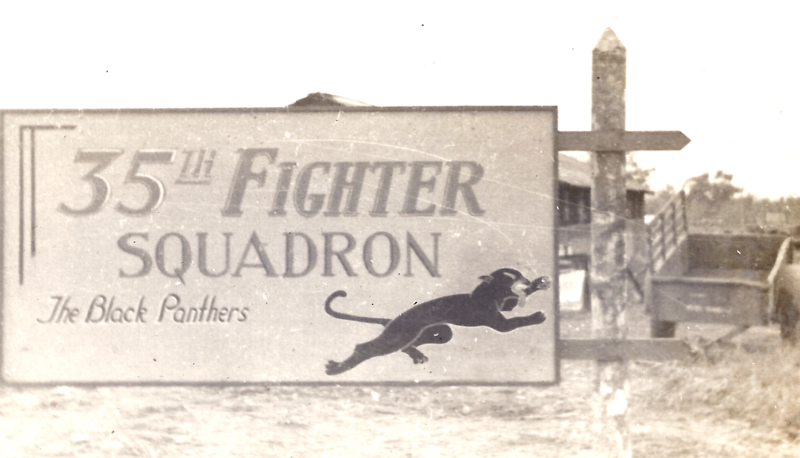 In the enhanced area, the darker letters read "U.S. ARMY AIR FORCES P-39D-1 SERIAL NO.**41-38359." 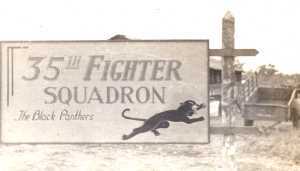 The larger white letters show the pilot, "Capt. I.A. 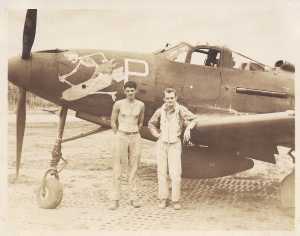 Erickson," and crew chief, "E.A. Matteo." The plane is nicknamed "Leura." 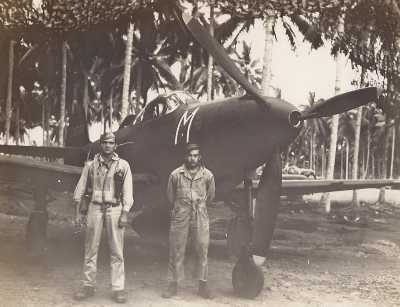 As shown in the previous pictures, the airplanes were identified with a specific pilot and crew chief. Most likely, the men posing by the aircraft were those assigned to the craft. But the following two pictures suggest that sometimes different pilots posed by the same P-39. 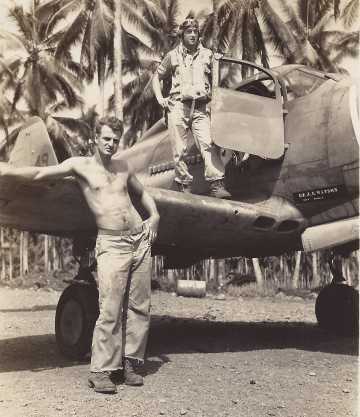 The two pilots are visibly different men; also note that the pilot in the upper photo wore his holster strap around his neck; the other guy just looped it over one shoulder. 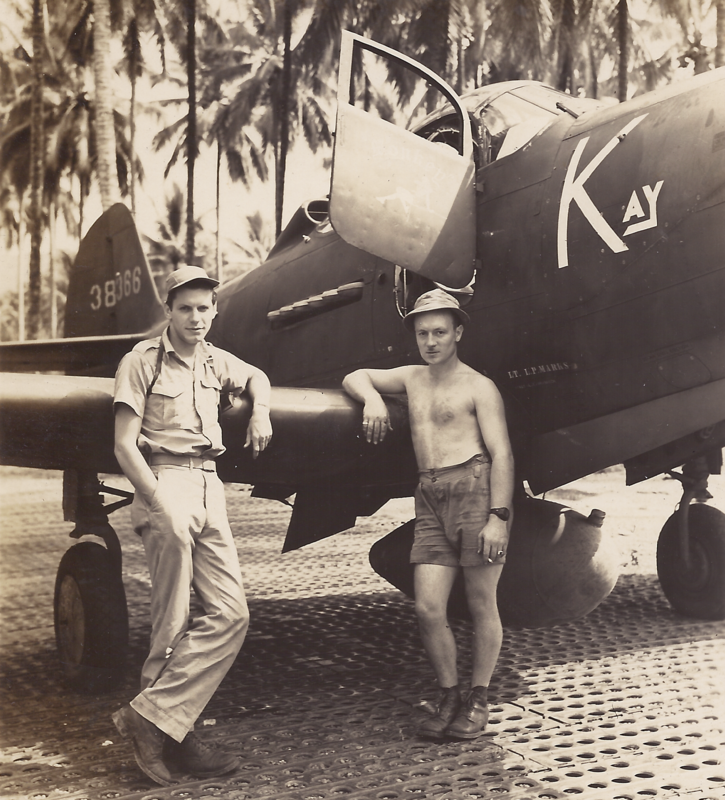 A pilot and ground crewman stand by the tail of this airplane, squadron code "Z." Both men wear heavy combat boots. The enlisted man is holding a cigarette; the pilot is wearing a Mae West and a shoulder holster. Note the Marston mat (pierced steel planking), which the engineers laid down to make serviceable runways quickly. 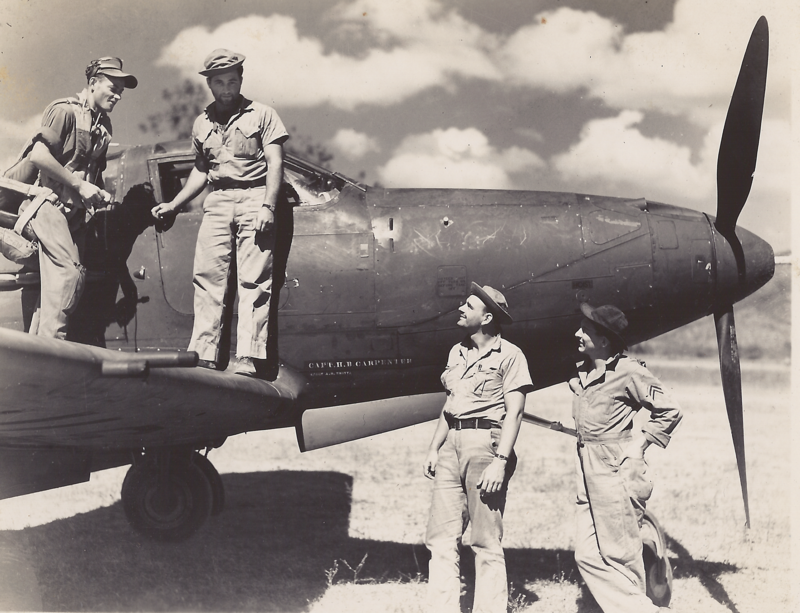 The next image is a P-39D nicknamed "Dud." 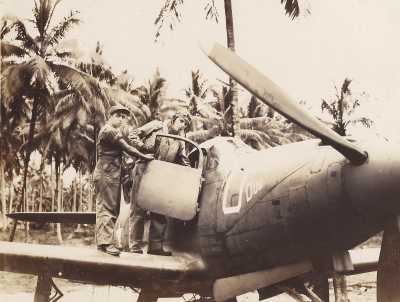 A crewman helps a pilot into the cockpit door. The pilot probably is LT C.H. Troxell, whose name is on the plane, but it's not certain. 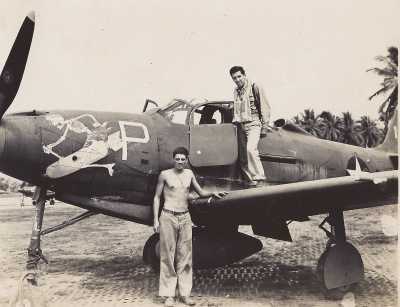 P-39 of Carpenter and Trotta. 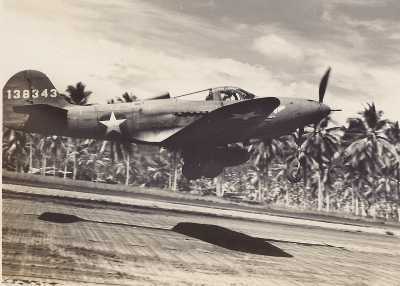 Note that this is the second plane assigned to Trotta. Ground crews were responsible for more than one plane. 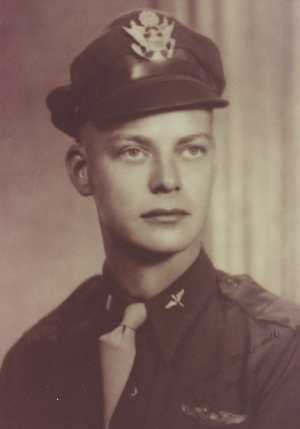 Assigned to LT J.E. 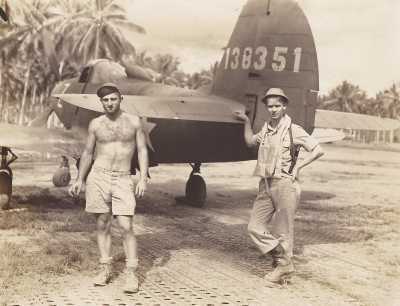 Watson and SGT Moran, probably the men posing on the wing. Not all of the tail number is visible, but the airplane should be in the 41-38300 sequence. 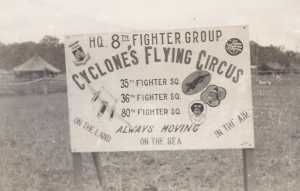 Throughout these pictures, it is always easy to tell the pilots (officers) from the enlisted ground crew. In part, it's a functional difference: pilots needed their Mae Wests and pistols, while the dirty work of the ground crew called for overalls or (due to the heat) just shorts. But it was also part of the military hierarchical culture that officers and enlisted men were easily distinguished. 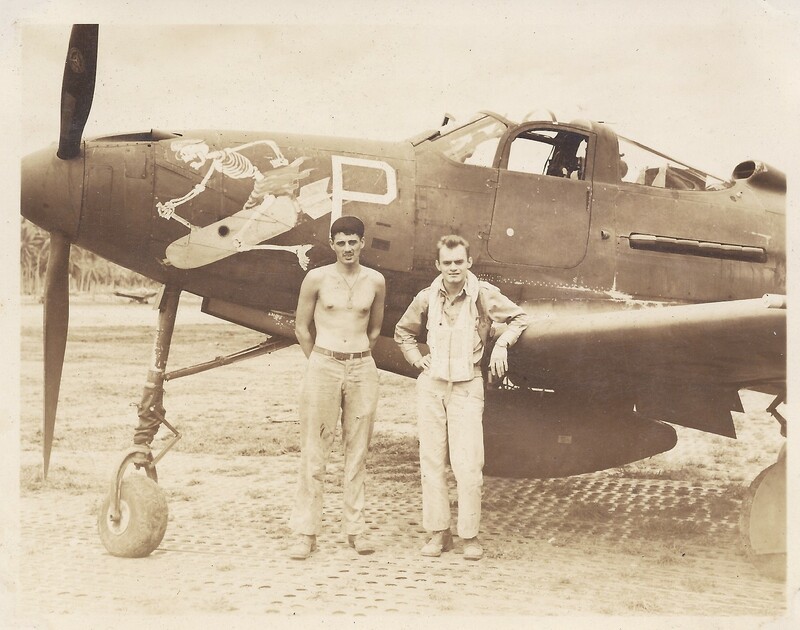 In addition to the functional elements (serial numbers, squadron codes, and assigned crew names), many Airacobras of the 35th sported purely decorative markings (nose art and nicknames). On this aircraft, s/n 41-38366, assigned to LT E.P. Marks, the squadron letter "K" has been embellished to spell out "Kay," maybe the pilot's girlfriend, wife, or mother. 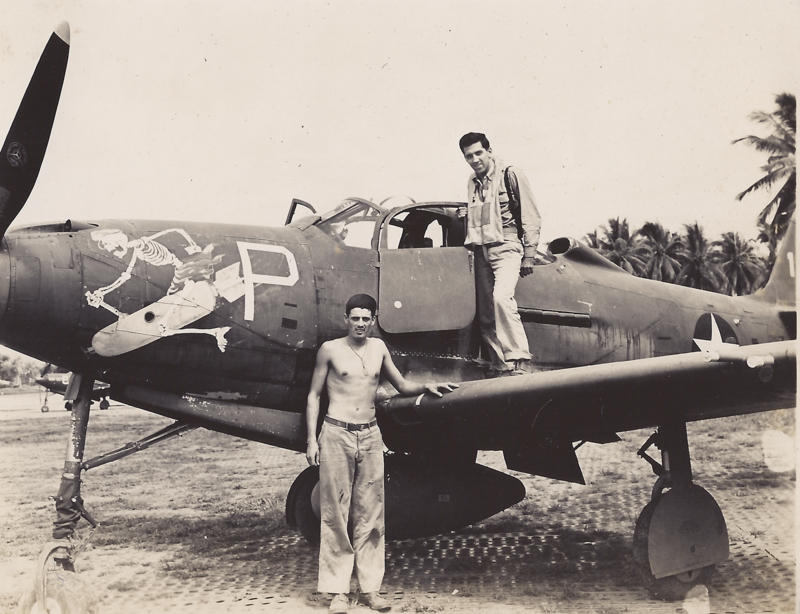 The next picture shows a P-39 with a little more artwork. On this airplane, s/n 41-38367, the squadron code "L" has been extended to "Lil Elsie" and the door features a painting of a Blyth's Hornbill (a distinctive New Guinean bird with a huge curved beak). 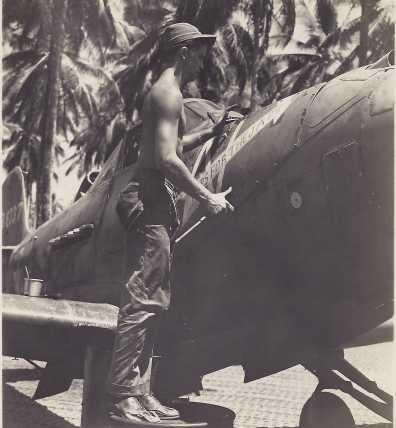 Again, a readily identifiable enlisted crewman and pilot pose by it. Note the pilot's headphones. 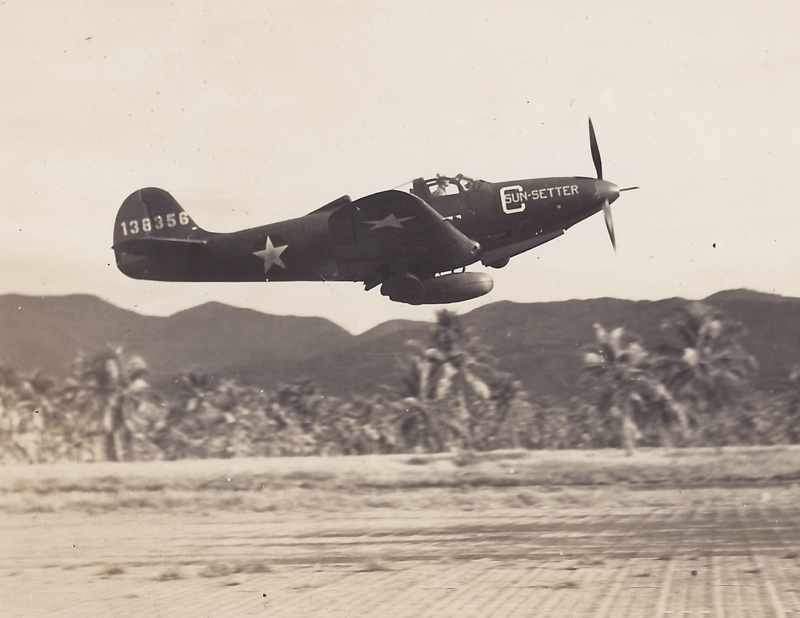 Following are two photographs of s/n 41-38350(? ), featuring imaginative nose art. A skeleton rides a bomb, or rather flies a bomb, which seems to be equipped with a flight stick. The serial number is barely legible behind the pilot in the lower picture; it may not actually be ...350. P-39 with helmeted skull on door, assigned to LT Leder. 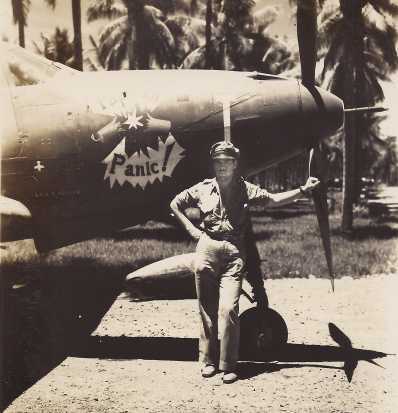 Papuan Panic (The word "Papuan" cannot be seen even on the large image, but is barely visible on the original photograph.) Note the single small airplane silhouette below the windscreen, most likely a victory marking, for LT J.W. Selzer. Lt. Egan apparently shot down two Japanese planes. There were no aces (five victories or more) in the 35th. 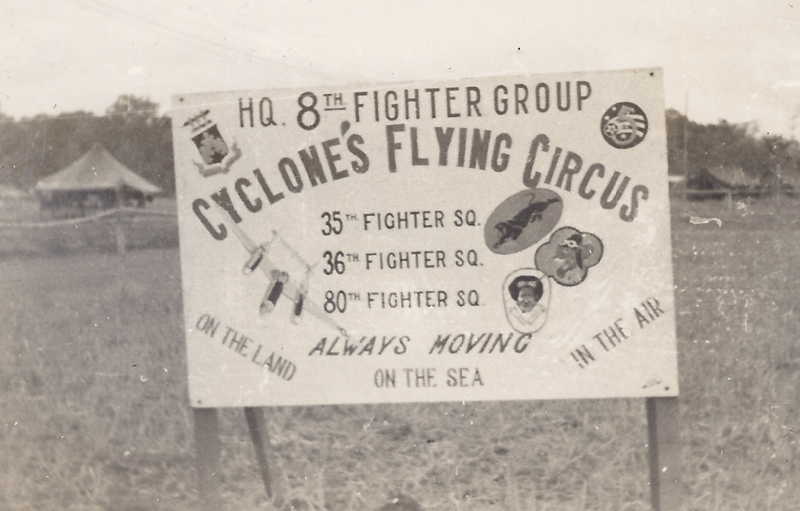 These photographs, unlabeled as they are, still provide a lot of insight into the men and machines of the 35th Fighter Squadron, and, by extension, into other American forces in WW2. Of course, the details of the aircraft and the names of the individuals may be of interest to aviation enthusiasts and genealogical researchers. But there are more general inferences as well. By looking into their serial numbers, one begins to sense the vast number of airplanes that the United States produced during the war. 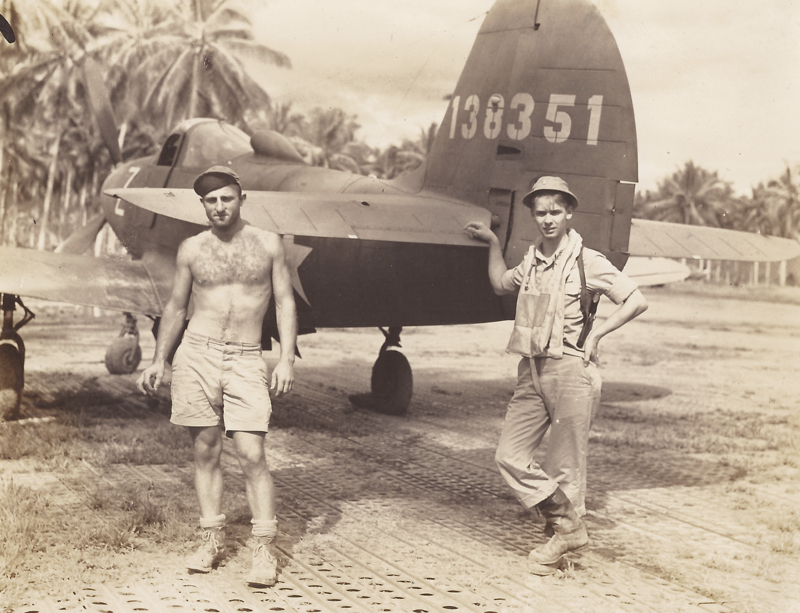 The poses and attire of the pilots and the groundcrew suggest both the camaraderie and the social/hierarchical distinctions that prevailed in those years. The widespread pierced-steel planking laid over the New Guinea jungle suggests the speed and "can-do" attitude of the American military forces.